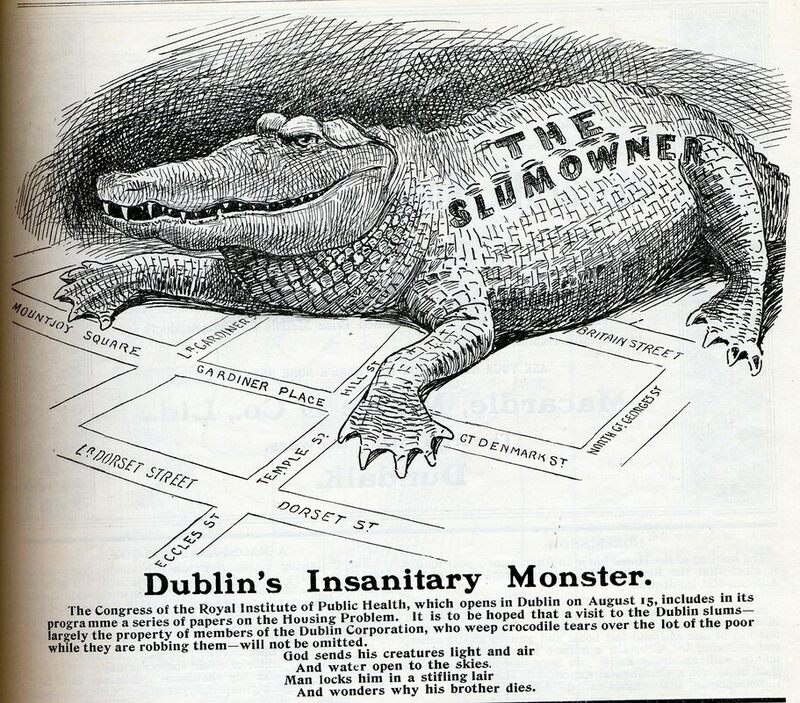 Thomas Fitzpatrick cartoon concerning the Dublin slums, 1911. Read Donal Fallon’s essay on Herbert Simms, who served as Housing Architect to Dublin Corporation from 1932 until his untimely death in 1948, in History on your Doorstep. This book can be picked up free of charge at any Dublin City library.